It's time for this weekends boot spots, where we've for the first time seen the new Nike GS2 in action, but where Adidas and Puma have both also made a positive impressions. There was however a few surprises there too, among them a record breaker like no other. Read along and let us know if there's anything you feel we've missed. 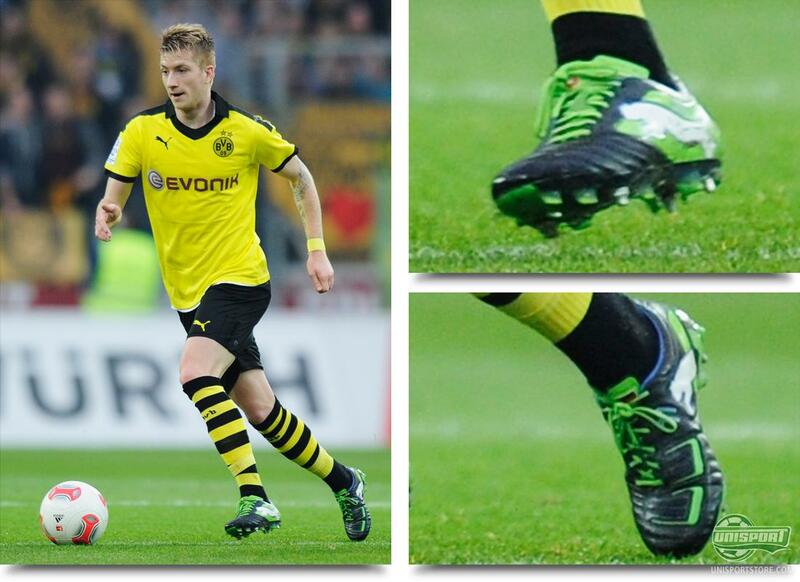 Marco Reus (Borussia Dortmund)  Puma Powercat 1.12 Black/Green/White The reigning champions of Germany are struggling to keep up with Bayern Munich in the League, where 9 points now separate the two clubs. This however change in the weekends away game against Mainz 05. A cruise control victory, with goals from Robert Lewandowski, but we were more interested in Marco Reus' boots. He showed off the new Powercat 1.12 colourway from Puma, that made a very strong showing. Mario Götze (Borussia Dortmund)  Nike GS 2 ACC White/Black We stay in Germany, where yet another wunderkinder was in the thick of things and he did so, with a very special pair of boots on his feet. Young Mario Götze is a part of the Nike GS 2 Squad and it was therefore no surprise, that the speedy midfielder had chosen to play in the new concept boot. There were no goals in them, but it can't be long before Dortmunds number 10 finds the back of the net. Franck Ribery (Bayern Munich)  Nike GS 2 ACC White/Black Even though the Nike GS 2 Squad was supposedly an exclusive little gang, Götze wasn't the only Bundesliga player with the concept boot. The French attacking profile wasn't on the official GS Squad, but this wouldn't stop him from sticking on a pair. He in the meantime was responsible for the first Nike GS goal, as the Bavarians steamrolled poor Hannover 96, 5-0. It'll be exciting to see, whether Nike have welcomed a new GS 2 Squad member, or if Ribery just couldn't keep his hands off the exclusive boot. Philip Lahm (Bayern Munich)  Adidas Adipure 11Pro White/Red/Black The worlds most reliable left back is normally one of the first to change boots, when a new colourway comes out, but with the last update he was a little slower than usual. The rest of the Adipure-team showed off their new Adidas Adipure 11Pro White/Red/Black last week, but it's only now Lahm's put on his pair. The elegant colours match the red Bayern home-kit very well, so you would think, that he would like to keep them for some time. 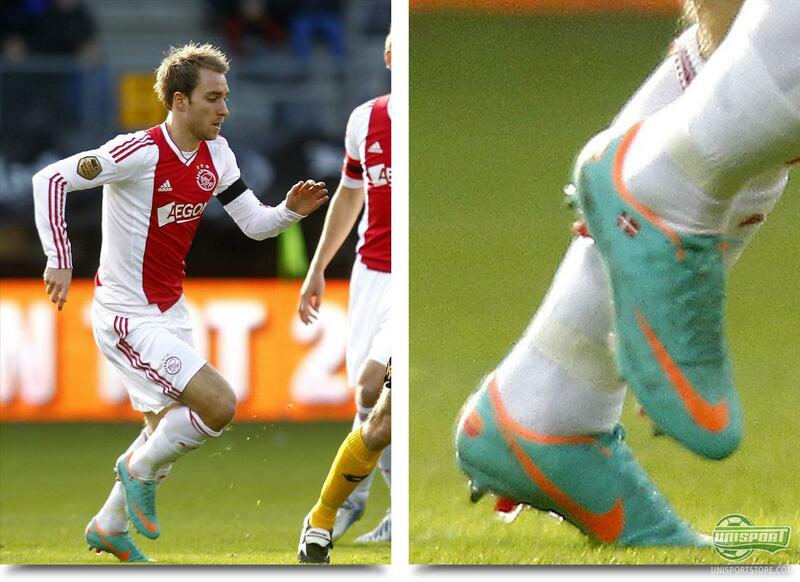 Christian Eriksen (Ajax Amsterdam)  Nike Mercurial Vapor VIII ACC Retro/Total Orange/Challenge Red The Danish prodigy is also on the exclusive GS 2 Squad, but as one of the only ones who didn't début his Nike GS 2 ACC. He had instead chosen to play in his old Nike Mercurial Vapor VIII ACC Retro/Total Orange/Challenge Red, in which he actually scored. He did so in an important 2-1 victory against Roda, where the two Danes; Eriksen and Lasse Schöne, each popped up to turn the tides to the defending champions favour. 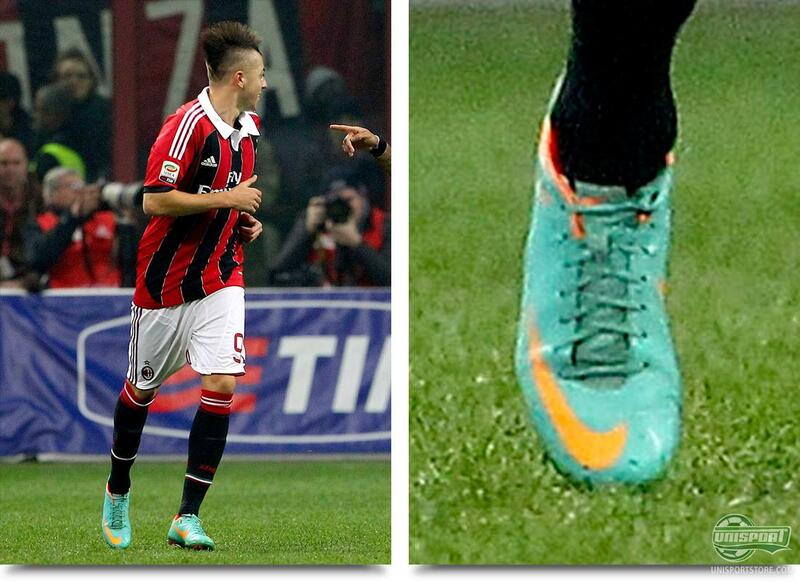 Stephan El Shaarawy (AC Milan)  Nike Mercurial Vapor VIII ACC Retro/Total Orange/Challenge Red There was also surprises to be found in the best Italian league, where the old rivalry between Juventus and AC Milan was on show. As always, there was a lot of focus on the home sides attacker with the Egyptian heritage, that has been the stand out performer in a dismal Milanese season. Where others might focus on his football, we were a little preoccupied with his boot choice, as he is also yet to take to the field in his Nike GS 2 ACC. There's of course still time for it to happen, but the rumours are already flourishing, that Ribery has taken his spot in the GS 2 Squad  What do you think? 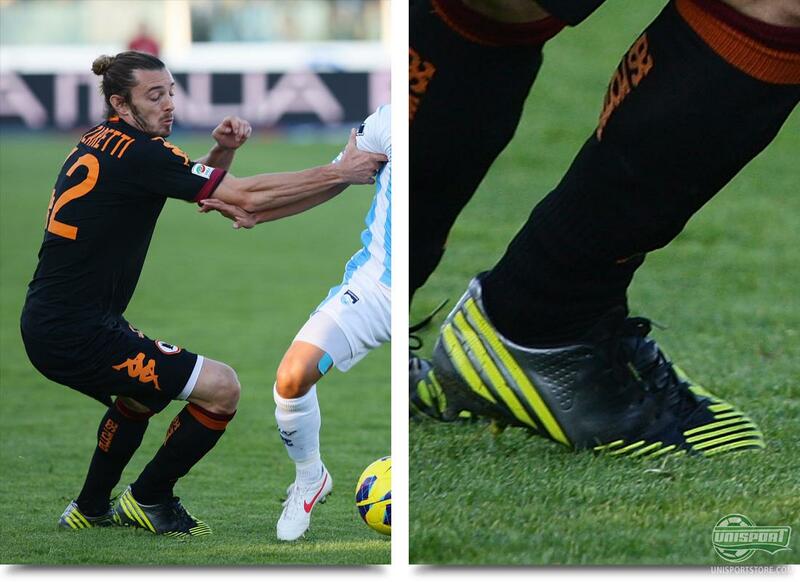 Federico Balzaretti (AS Roma)  Adidas Predator LZ Black/Silver/Neon Possibly this rounds best and most charismatic name goes to the gentlemen above, because it couldn't be any more Italian. This has also been exemplified by his boot choice, as he's since the Euros been playing in a pair of Lotto Stadio Potenza 100 in a colourway, that matches the Italian flag. For the weekends away game against Pescara, he had however chosen to play in pair of Adidas Predator LZ Black/Silver/Neon, and it therefore looks like he may have replaced the Italian brand  What a shame. 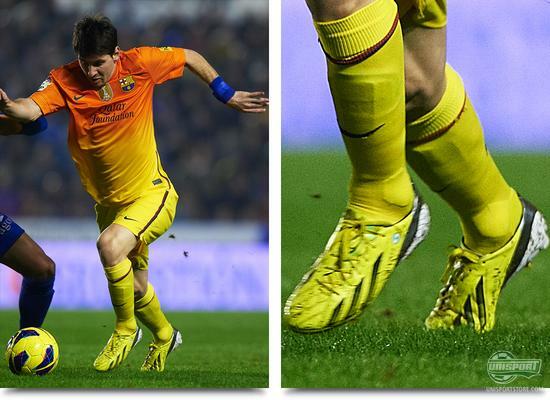 Lionel Messi (FC Barcelona)  Adidas F50 Adizero Yellow/Black The man is unstoppable. A lot will definitely have to go wrong, if the Argentinian is not to break and maybe even improve, Gerd Müllers crazy record of 85 goals in one calender year. Messi and his Adidas F50 Adizero Yellow/Black are just 3 goals of the record and he has six games to do so and with his prolificness, it seems likely that there'll be a new name in the record books. 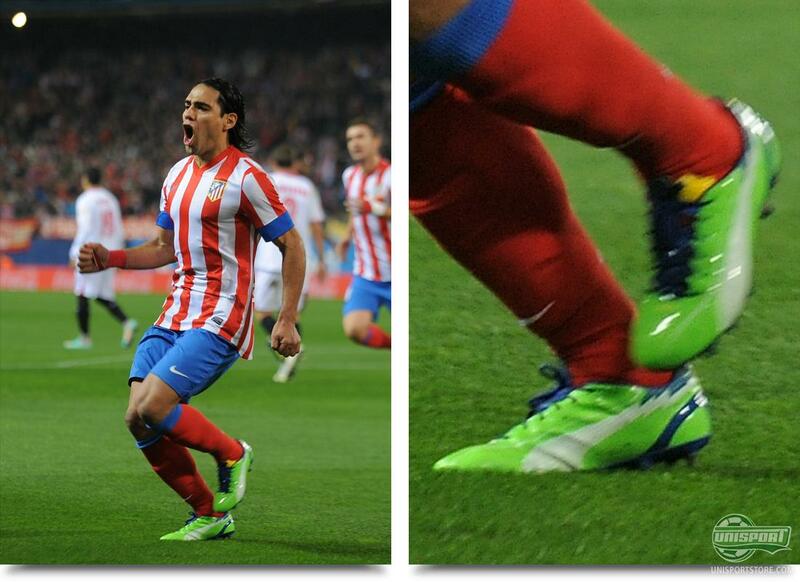 Radamel Falcao (Atletico Madrid)  Puma Evospeed 1 Green/White/Blue Eight goals behind Messi we find the Columbian goal machine Falcao, who, yet again, showed why he's on so many big clubs watch-list. Against Sevilla he opened the scoring, with his Puma Evospeed 1 Green/White/Blue, as he made no mistake from the penalty spot. The Madrid-based club never looked back from then and stormed to a 4-0 dismantlement of the out of touch team from southern Spain, who even collected 3 red cards in the game. The win puts them just 3 points behind Barcelona  can they challenge the Catalans at the top of the table? Marc-Antoine Fortune (West Bromwich Albion)  Nike Mercurial Vapor VIII Custom Red/White/Blue There's apparently a new Big 4 in the makings, West Brom keep charging on and collecting points left right and centre. Last Saturday they trampled Sunderland 4-2, which puts them just 4 points behind league leaders Manchester United. The man who put the icing on the cake, was Fortune, who has designed his own pair of Nike Mercurial Vapor VIII in Red/White/Blue, to celebrate his French nationality. 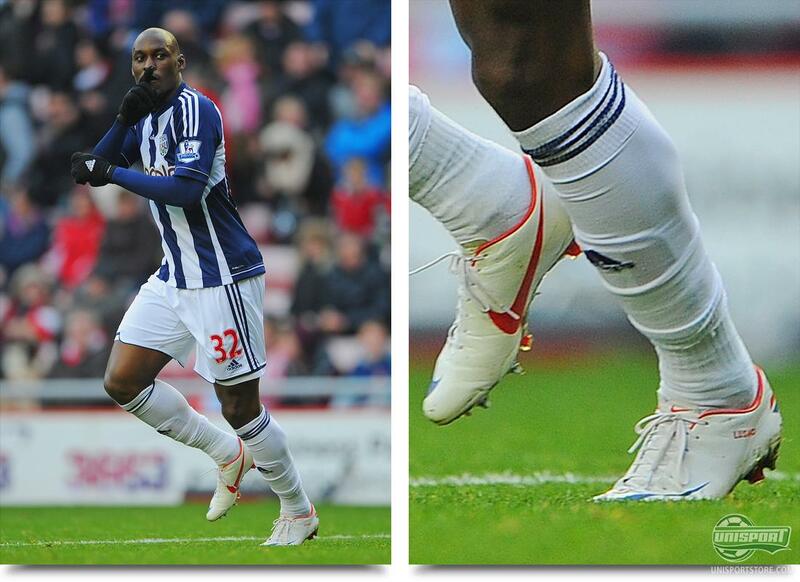 Is there any better way of breaking in a pair of new boots than by scoring? Jermaine Defoe & Gareth Bale (Tottenham)  Adidas F50 Adizero There's been a bit of a monkey wrench in the machinery at the London club the last couple of weeks, but against the promoted team West Ham, everything seemed to run very smoothly. Two of the clubs fan favourites shone, as they had the combined responsible for all the goals, when Tottenham seemed to brush, the otherwise in form, West Ham aside. 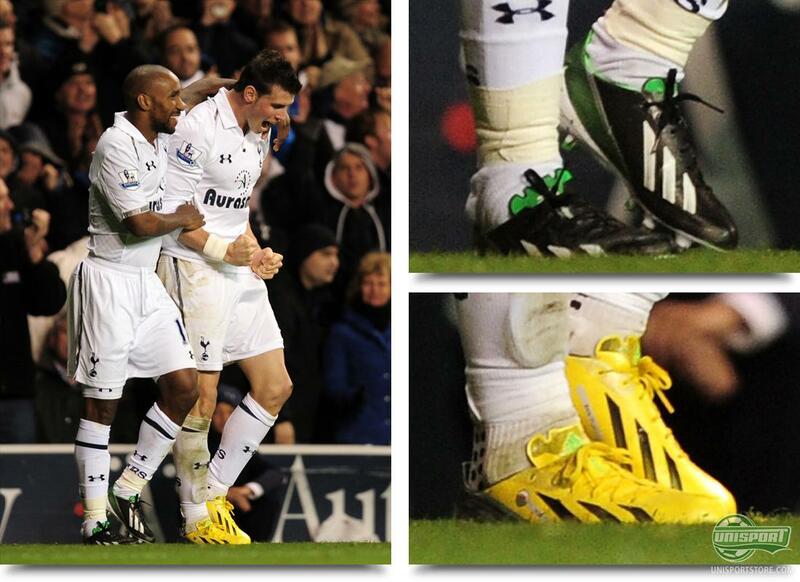 Two goals from Defoe in his Adidas F50 Adizero Black/Green and a single goal from Bale and his Adidas F50 Adizero Yellow/black. Spurs now, thanks to the win, edge closer to the top of the table and are currently 7th. Eden Hazard (Chelsea)  Nike GS 2 ACC White/Black It was quite the expected surprise, when Roman Abramovic fired the crowd favourite Roberto Di Mateo and called on ex-liverpool manager, Rafael Benitez. It created serious disgruntlement on the stands, that the biggest drama in the game came from the fans booing Rafa's entrance, rather than the players performance. None the less we noted the début of Eden Hazards Nike GS 2 ACC, but it would be a stretch to say, that he was close to finding the back of the net. 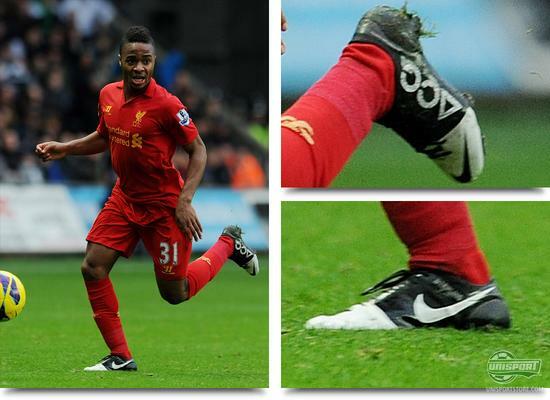 Raheem Sterling (Liverpool)  Nike GS ACC White/Black Brendan Rodgers returned back to his old workplace in the weekend, as his Liverpool-men, tried to build on the victory against Wigan. In a game of few chances, it was the big hope for the future, Raheem Sterling, who came closest to deciding the game, when his screamer of an effort thundered off of the crossbar, rather than the top corner. That really was the only big opening in a tight and tactical affair and that's why Swansea and Liverpool shared the spoils. Not the most goal-alicious round of Premier League, but none the less lots of their boots found their way into our boot spots. We have especially focused on the Nike GS 2 spots, that all looked very strong in action. What do you think of the concept boot? Will you be getting a pair? 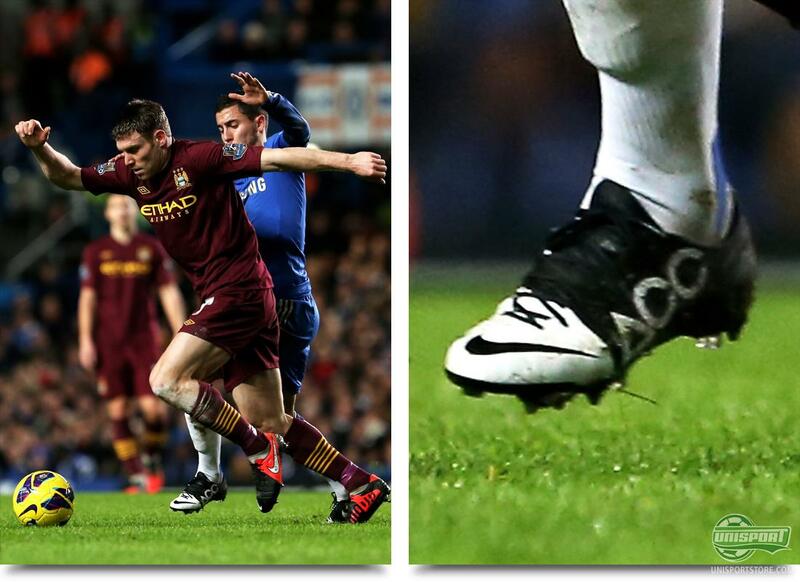 What do you think of this weeks boot spots, is there something we missed? Share your comments down bellow.